Fall’s harvest bounty is tempting us and inviting us to the kitchen. As we tune into the rhythm of the season, we look through our old recipes and consider new ones. Sooner or later we stumble upon a recipe asking for apples. Apple is the ultimate fall fruit in our climate. Yet, we take apples for granted for most of the year. They are always there on the shelves of our supermarket or health food store, although they somehow lost their appeal a long time ago. Months of refrigeration robbed them of their flavor and texture, and we easily forget how good an apple could be. Without a doubt, apples are a fruit worth reconsidering, and fall is the right season to remember the true taste of apples. When it comes to apples, my children associate “ugly” with “yummy”. 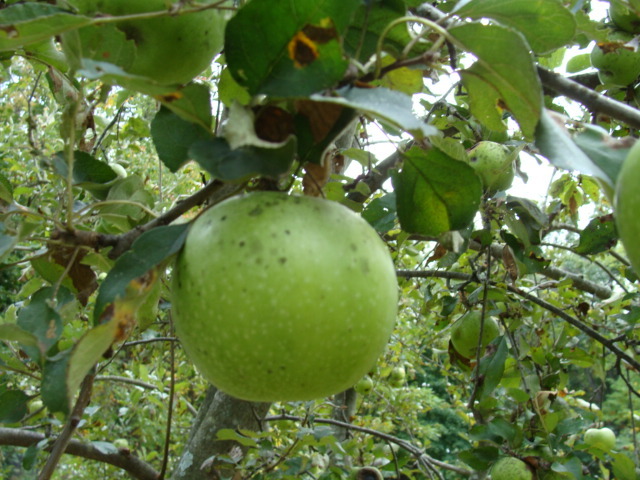 At this time of the year, the two old, weathered apple trees on our property are full of “ugly” green, crisp, tart apples. Although we still haven’t figured out what variety they are, we know that they are not only delicious raw but they make a good applesauce and work well in apple pie. After having our share of raw apples, it is time to cook. Perhaps it is the right occasion to make one of our favorite autumn treats: apple compote. For the compote, choose some fresh but not necessary perfect apples. In this recipe (like in the one for applesauce or apple pie), fallen or less-than-perfect fruit gets a chance to shine. As an added bonus, children will have fun examining oddly shaped apples. If your children are old enough and can be trusted with knives, invite them to help with cutting. The younger ones can assist with washing the apples, measuring out the ingredients, or cranking the apple peeler, if you use one. Remember to cut some apples crosswise to uncover the beauty of the star hidden in the middle. ¼ cup maple syrup, honey, or sugar (also, apples are sweet as is! Some of you may decide to add no additional sweetener). Combine water, lemon juice, sugar and spices in a medium saucepan. Add apples. Bring to simmer over medium heat. Cook for a few minutes until apples are barely tender. (The apples shouldn’t become mushy or lose their shape). Remove from the heat. Spoon the compote into a bowl, let cool down, then chill in the refrigerator. 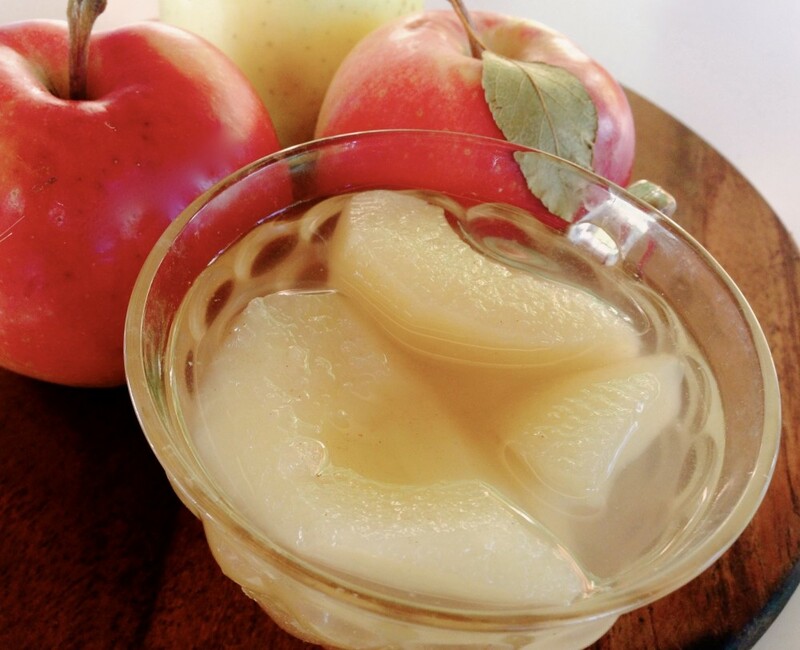 Apple compote makes a perfect snack or dessert on a crisp autumn day. It can be also served as a side dish with roasted or grilled meats. The uglier your apple, often, the more tasty it will be! Enjoy the tastes and aromas of the Fall, and don’t forget how good an apple can be! Eva Szigeti operates Pinebrook Garden Day Care, child-care centered around hands-on homesteading activities and free creative play. She also offers cooking and fiber craft classes for children and programs for homeschoolers. 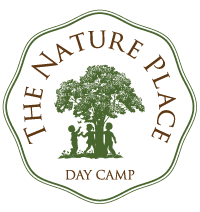 For the past three summers Eva has been teaching cooking at the Nature Place Day Camp.